With all the sunshine, sea air and unbelievable destinations you could ask for, a luxury cruise is a great way to escape reality for a week or two. But there are a few practical things you can do to make your trip even more of a breeze. While there are many things you need, read on to discover the top 10 must-pack items! It’s always useful to have a way of charging multiple electronic devices at the same time. Especially if you have family in tow with gadgets all of their own. While your phone might be off on holiday, your camera, e-reader and MP3 player probably won’t be. Although though you don’t technically pack away this one, it’s nice to have a phone for emergencies/peace of mind. It can be costly if you don’t organize a good rate for international calls. Before you leave, contact your provider and let them know where you will be traveling. If you like your coffee ‘your way’ this is a must have item. Of course, most cruise providers will try to convince you otherwise. Fairly self evident item, especially if you’re off to the Caribbean. In most parts of the world (even the cold ones) you will be out and about on Port Days soaking up the rays so slap on that protection. Most cabins will have blackout drapes and tight fitting doorways – if they didn’t, you’d be demanding them! It does mean, however, that your digs go pitch black as soon as the lights go off. This is a good idea as trying to get your hands on any emergency medication you might need at the ship’s boutique or medical bay could be expensive. Pain killers, diarrhea medicines, anti-bacterial creams are safe-bets. Keeping your cabin stocked up with water and non alcoholic beverages is a good move, especially if you like to visit on board nightclubs. Mornings will be a lot easier with on-hand hydration. Crumpled clothes can kill your street cred on a cruise. These handy sprays will keep you looking smooth at all times. Another sartorial tip is to pick up a hamper to put dirty clothes in. These are really cheap and easy to stow in your cabin closet and will help with organisation by keeping all the mess in one place. Once you’ve got your cabin up to scratch it’s time to relax and read a book in the sunshine. Packing one of these instead of ten thrillers will save you a lot of space and there are plenty of titles to explore. Plus, they’re easier to hold and position when you’re sunbathing than a big hefty book. All in all, the best bet is to always check-in with the cruise you are taking to freshen up on what is allowed on-board. They may differ from cruise line to cruise line. Though, I am pretty sure that you are safe with these. Most of all, enjoy your cruise! What do you pack for cruises? I have never been on a cruise but would love to go on one. Thanks for the tips on what to pack! I've never been on a cruise but a lot of items on your list make it onto my packing list for travel more generally! My mom will be heading off on a cruise shortly. I will pass this on to her! I've never been on a cruise but many of those items make it on my packing list for travel in general, although I often backpack and need to do without! What a great list! I've never been on a cruise but it's something we've been talking about doing. This is a great list of items to bring on a cruise. I have been on 2 cruises and would love to bring my family on a Disney Cruise one day. 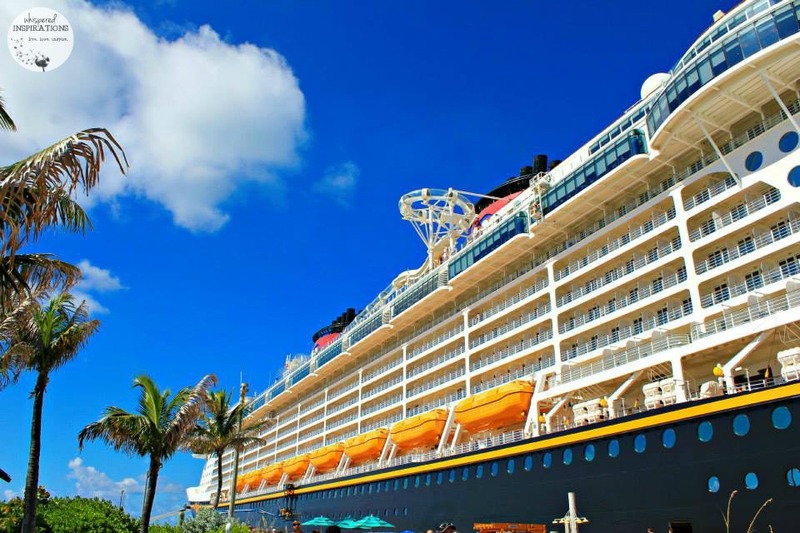 Disney Cruises are so fun, you will love them. These are great tips Nancy. I've never been on a cruise before and honestly would have forgotten a few of these. So thanks so much they help for other vacations as well. I've never been on a cruise, but this looks like a great list! Thanks for yet another great post i hope someday to take a cruise! You’re welcome! Very happy you take the time to come and read my reviews! Let me know when you do go on a cruise I have tons of tell you about!